For a limited time, this $197 Sugar Detox is available for only $20. I'm excited to offer this special price to you and only ask 2 things of anyone getting this massive discount. 1. Leave me a written or video review of your experience after you complete your 28 days. 2. Share this challenge with two friends. "I'm down 10 lbs since the sugar challenge started. :) :) :) Can't wait to do more challenges!" BONUS: Access to the 2017 28 Day Sugar Detox Challenge Private Facebook Group for additional support and connection. "I felt amazing!! 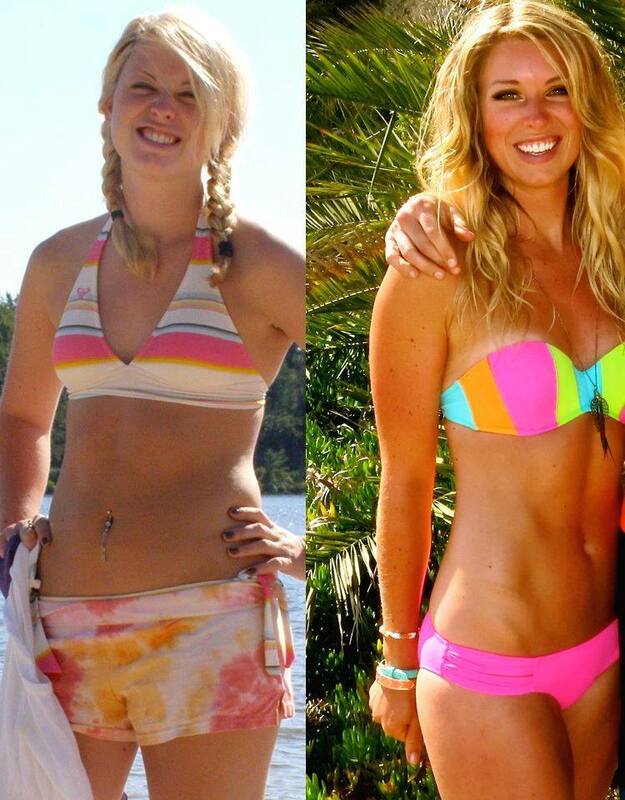 It reset my body and made me only want foods that would give me better nourishment than processed foods!" I am a certified health coach and personal trainer, leader in love, mindset & emotional breakthrough expert as well as a nationally recognized model & actress. Something that comes easy to me is health. Of course it wasn't always that way. I'm sure you've seen my before and after picture where I was 30 pounds overweight (I'll put it below). Weight loss seems like fitness and food but I don't just teach health. In order to be healthy you must first change your mindset and reach way back to find when you started limiting yourself. You remove the limits and suddenly realize that anything is possible. You repair your heart and prepare it for love on all levels. Love for yourself, deeper more present love for your friends and family and love for your soulmate. You make a space for health where there wasn't one before. People are always coming to me looking for advice on how to get in better shape. I'm really excited to give you a jump start strategy and process on how to do it in this challenge. You're going to leave feeling healthy, whole, happy and energized. I'm the creator of the highly acclaimed weight loss course, Body Built By Love. I've been featured on both ABC and FOX as an expert in health and fitness. 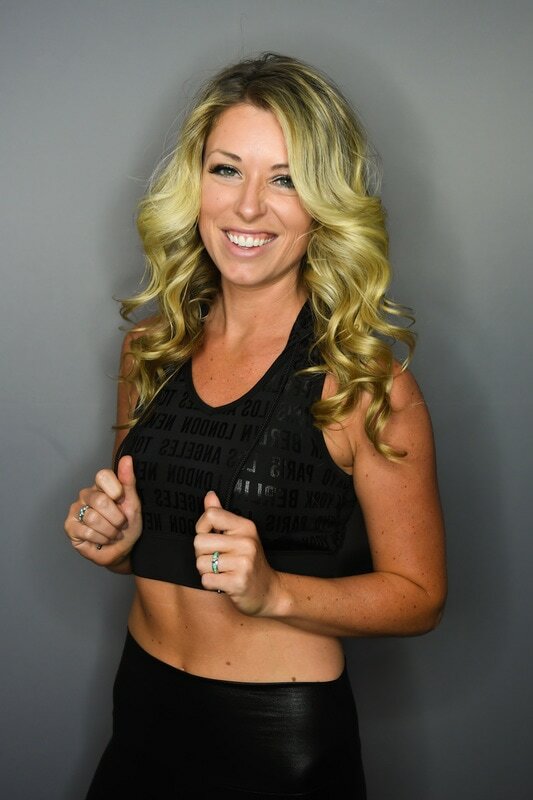 My knowledge, compassion, and 30-pound weight loss transformation is what has guided me to lead and empower women at Lorna Jane, Lululemon, Whole Foods, Pure Barre and much more. I was selected for Fox's Masterchef as one of the top 80 home chefs in the nation. My work has transformed the bodies, lives and minds of hundreds of women and men all over the world with my innovative nutrition, fitness and now love mindset courses. ::: I'll help you ditch the nasty white processed sugars that are draining your energy, hindering your health and making it really hard to lose weight. ::: I'll give you alternative and substitutes and steer you in the right direction of natural sweeteners that actually contain nourishment. ::: You'll have delicious and healthy recipes to replace your old sweets with. ::: Some naturally sweet foods contain more sugar than others and can wreak havoc on your body when consumed too frequently. I'll show you how to remove limit them without feeling restrictive. ::: You'll feel confident with more delicious and healthy recipes to replace previous sugar cravings. ::: For this one week I'll guide you on how to remove all sugar completely from your diet. ::: This is temporary but I'll make sure you feel comfortable, taken care of and abundant in food choices during this week. ::: I'll show you how to fully detox this week with food to replace sugar so that it's not a struggle to remove sugar. ::: Many people detox in an extreme way and end up going overboard the week that they come back from a detox. I want to make sure that doesn't happen by providing you with resources to ease you back into your daily routine. ::: I'll provide you with resources to continue a diet that's lower in sugar but still feels sweet and rewarding. ::: You'll have amazing recipes to use to get you back into a normal routine while maintaining your weight loss and detox results. ​This is an online course made up of 28 days that contain training videos and resources that you will access on a website via desktop, laptop, ipad/tablet or phone. You will receive access to your first week via email on February 27th at 7am est. Access to week 2 will be released exactly one week later, and so on. Each week includes written exercises to practice and implement what you learn right away. You don't have to feel alone anymore in your health journey. ​I'm here to support and guide you to the best health of your life! I will cheer you on as you reach your goals, eliminate old paradigms and change your body once and for all. Every person in this group gets what it feels like to go to bed at night feeling like something is missing, knowing there is someone out there for you. I get you. You don't have to feel like that anymore because I found the process to jump start your health and I'm here to coach you through the process of FINALLY changing your body and cutting sugar. The lack of healthy mindsets with women who want to get healthier is the number one reason why they fail. Healthy mindset means eliminating all of the negative beliefs you learned at a young age about nutrition, fitness, body and relationships. If you can learn how to master this—controlling your beliefs—you can control your world and design it however you want. Most people looking to get healthier have certain triggers that cause them to make unhealthy choices. In order to learn how to change and master your beliefs and mindset, you must get to the root. I’ve purposefully designed the 28 Day Sugar Detox Challenge to be a fulfilling and high quality resource for women to learn a beginning process of mindset training, which leads to mastering your body as well as other important areas like relationships, money and lifestyle. I hope you join me and many other like minded people on your health journey. STEP 1: Click ONE PAYMENT OF $20 button above. STEP 2: Once payment is complete, you will recieve an email with access information to the private Facebook group. Step 3: An additional email will follow on Feb 27th with access information for Week One. It's time to be your healthiest and happiest self and find the love you've always been looking for!